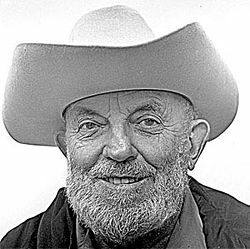 Ansel Adams was an American photographer and conservationist best known for his black-and-white photographs of wilderness landscapes. He was born in San Francisco, California, on February 20, 1902. Ansel was the only child of Charles and Olive Adams, who was 40 years old when she gave birth to him at home. The Adams family came from New England, but was not related to the presidential Adams family. Ansel’s grandfather was a wealthy timber baron whose business Charles Adams inherited; however, Charles was more interested in science than business. The family’s Victorian-era house on the heights above San Francisco Bay survived the great earthquake of 1906 with little damage, although their finances suffered greatly as a result of the 1907 Bankers’ Panic. Ansel was a hyperactive, socially awkward child who had few friends, but his home on the bluff provided ample activities to keep him happily occupied. His favorite activities were collecting insects, running along the beach, and exploring the still-wild reaches of the Golden Gate. He hiked, climbed, and explored, gaining self-esteem and self-confidence. Charles and Olive Adams gave their son the freedom to grow and become whatever his intellect and talents would allow him to be. They raised him to follow the ideas of Ralph Waldo Emerson – to live a modest, moral life guided by a social responsibility to man and to nature. Probably the most important result of Adams’s somewhat solitary childhood was his love of the outdoors. Despite his lack of formal education, Ansel was able to obtain what he called a “legitimizing diploma” – perhaps the equivalent of having completed the eighth grade – from Mrs. Kate M. Wilkins’ Private School. Ansel’s passionate pursuit of music instruction had become a substitute for formal schooling. Ansel loved to play the piano and he applied himself seriously to the art of piano performance, expanding his technique and style of musical expression. The discipline and structure of music helped to settle his emotions and developed his patience. As early as age 13, Ansel had decided that he wanted to be a professional pianist. He studied with Frederich Zech, a prominent pianist of the time. One day, Ansel’s aunt gave him a copy of In the Heart of the Sierras by James M. Hutchings (1888). The book piqued 14-year-old Ansel’s interest enough to persuade his parents to take him to Yosemite National Park. The famous valley was the first place in the United States to be designated as a protected natural area by a Congressional Act, signed by Abraham Lincoln in 1864. Ansel’s father presented him with a Kodak Brownie camera during their family vacation in Yosemite in the summer of 1916. This camera allowed him to record the images of beautiful scenery around him, and opened his eyes to the process of creatively looking at landscapes that would continue all his life. From that time on, wilderness photography became one of his major interests, while Yosemite and the Sierra Nevada became two of his favorite places. Adams became self-taught in photography, a medium that he would eventually make into an art form. He avidly read photography magazines, attended camera club meetings, and went to photography and art exhibits. He learned basic darkroom techniques working part-time for a San Francisco photo finisher. Ansel returned to Yosemite the following year with better cameras and a tripod. With his Uncle Frank he hiked and camped on the High Sierra in both summer and winter, making several first ascents while developing the stamina and skill needed to photograph at high altitude and under difficult weather conditions. While in Yosemite, Adams became acquainted with the Best family, owners of Best’s Studio, who allowed him to practice on their piano. Ansel was 19 years old and Virginia Best was 17 when they met in 1921. The two shared a passion for the outdoors and for classical music. Virginia intended to become a singer, while he was planning to become a concert pianist. After a long courtship, they were married in Yosemite Valley on January 2, 1929. Adams now wavered between his two possible career choices: music and photography. He started out by giving piano lessons and playing at concerts while taking photographs on the side. One of his early piano students was mountaineer and fellow Sierra Club leader Jules Eichorn. 1927 was a pivotal year in Ansel’s life. He made his first famous photograph, “Monolith: the Face of Half Dome,” and came under the influence of Albert M. Bender, a San Francisco insurance magnate and patron of the arts. Bender’s friendship, encouragement, and financial support changed Ansel’s life dramatically. Ansel’s creative energies and abilities as a photographer blossomed as he now had the wherewithal to seriously pursue his hobby. Ansel’s transition from musician to photographer did not happen overnight, but after his first published portfolio of pictures earned him wide critical acclaim, Ansel realized that he was far more likely to prosper as a photographer than a pianist. So he ultimately gave up his musical ambitions and decided to become a professional landscape photographer. He studied diligently and became as proficient in photography as he was in music. His eloquent photographs of Western landscapes and his creative use of light won him wide recognition as a poet-photographer of nature. With his eye for natural beauty, Adams was a relentless activist for the preservation of wilderness and an advocate for conservation of the earth’s resources (like the giant redwoods). In addition to these environmental issues, he also fought against billboards and other forms of aesthetic shortsightedness. In this way, Adams was a philosophical heir of the American Transcendentalists Ralph Waldo Emerson, Henry David Thoreau, and John Muir. Adams was awarded the Presidential Medal of Freedom in 1980. He died in Monterey, California, at the age of 82 on April 22, 1984. Adams left behind his wife, two children (Michael, born in August 1933; and Anne, born in 1935) and five grandchildren. Ansel Adams: An Autobiography was unfinished at the time of his death and was subsequently completed by Mary Alinder, his editor. The full archive of Ansel Adams’s work is located at the Center for Creative Photography, which Adams himself co-founded in 1975 at the University of Arizona in Tucson. The Ansel Adams Wilderness, a wilderness area south of Yosemite, was named in his honor. Did You Know…? In 1935, Virginia Adams inherited her father’s art studio in Yosemite. She and Ansel continued to operate the studio until 1971. The studio, now known as the Ansel Adams Gallery, remains in the hands of the Adams family. Ansel Adams: An Autobiography , by Ansel Adams and Mary Street Alinder. Yosemite , by Ansel Adams and Andrea G. Stillman. The Grand Canyon and the Southwest , by Ansel Adams and Andrea G. Stillman. 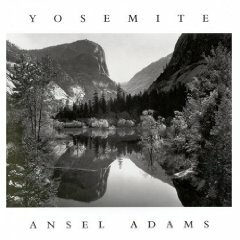 http://www.anseladams.com - The Ansel Adams Gallery. http://www.ir.uair.arizona.edu/ccp/item/4538 - The Ansel Adams Archive at the Center for Creative Photography.